Former West Philly welterweight Tony "Pound for Pound" Martin was reportedly killed on Friday (March 8) when he was shot by an as-yet-unknown person at one of Martin's rental properties. Martin had gone to the property to collect rent from a tenant when the fatal shot was fired by an alleged visitor of the resident. Tony was 52 at the time of his death. Martin had been retired from the ring since his 1997 bout with Julio Cesar Chavez. 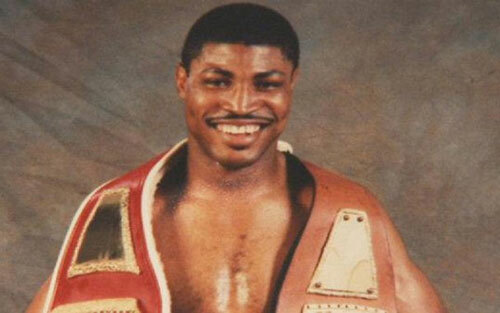 He lost to the legend by 10-round decision, but had a memorable boxing career with an overall record of 34-6-1 (12 KO). Martin was a native of St. Louis, MO, but relocated to Philadelphia in 1985 to pursue boxing in the City of Brotherly Love. Martin made his professional start at the Blue Horizon on September 10, 1985 with a 2nd round TKO of Ulysses Bennefield. The victory was the first of six straight. He went 15-1 in his first 16 fights, beating fading former champion, and fellow Philadelphian Charlie "Choo Choo" Brown along the way. After suffering back-to-back losses to Sammy Fuentes and Mike Brown, Martin zipped off 13 more fights without a loss (12-0-1). During this stretch, he defeated former champion Livingstone Bramble (W10), and in 1991, won the IBC Jr. Welterweight Title with a 12-round decision over Don Allison, claiming his first piece of boxing hardware. Martin followed the win with a 10-round decision over popular Micky Ward. 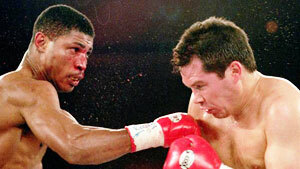 In 1995, Martin dropped a razor-thin decision to Sal Lopez in a fight for the Vacant USBA welterweight title. The contest was so close that a point taken from Martin for low blows in round five may have been the deciding factor. In his next bout, Martin claimed that same USBA championship with a 10th round TKO of Kip Diggs. Then less than one year later, Martin beat the same Kip Diggs to win the NABF welterweight belt. Three months after that, Martin faced Julio Cesar Chavez in Las Vegas, and hung up his gloves after the bout. Martin's 34-6-1 (12 KO) record and three regional title belts verify the quality of his boxing skills, while the outpouring of sadness and kind words since his passing serve as a testament to the quality of Martin as a man. The down to earth former postal worker was well liked and much respected. Martin is survived by his wife Donna and four adult children.